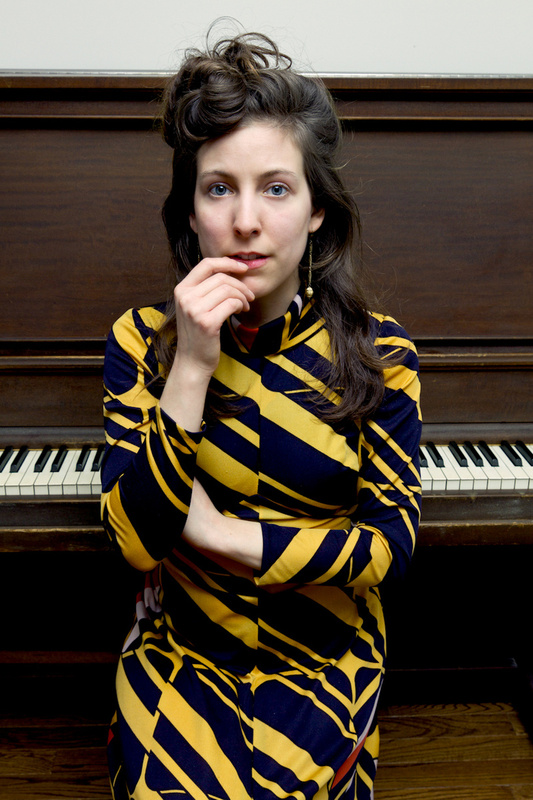 Halifax-based composer, pianist and singer Taryn Kawaja is known for her "dark resonating chord combinations, thick dramatic piano riffs, and emotionally saturated vocals." She is on tour in Newfoundland August 20th to September 1 with Peter Lannon. 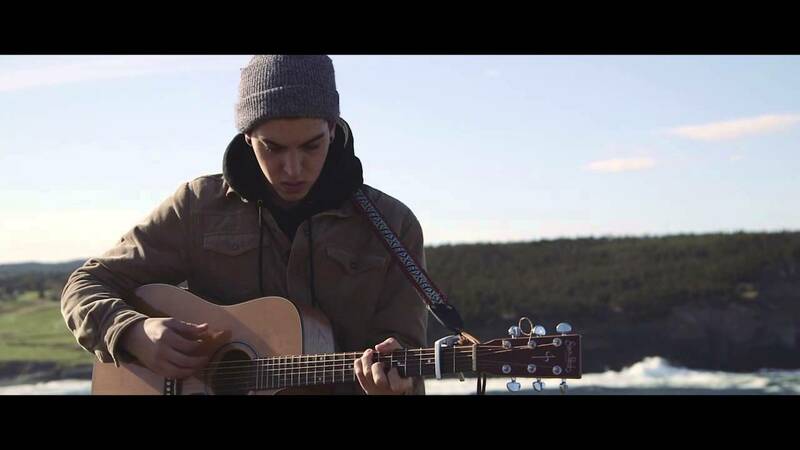 Peter is an accomplished young St. John's songwriter and a member of super-cool band City on the Coast. Their first show is tonight (Thurs) at Swirsky's in Corner Brook - Taryn's hometown! They will be singing and making magic at Galliott Studios tomorrow. 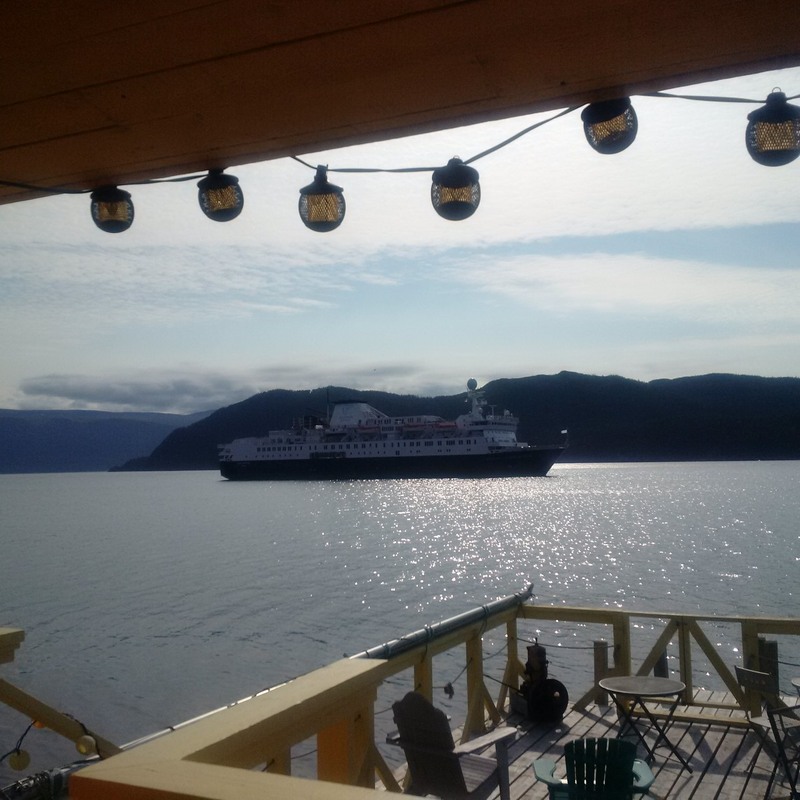 We've arrived at one of the busiest weeks of the year in the little town of Woody Point! There are so many incredible names on the bill this year and it is guaranteed to be a memorable time. Galliott Studios is an important hub during the festival. It is the perfect meeting place: friendly faces, tasty snacks, excellent coffee and the best deck/warf in the world. Thursday 7-9 am CBC will be broadcasting live from the shop with novelist Miriam Toews. Friday, 9:30 am readings by poet and children's author George Murray. Friday, 2pm Matinee concert with Anita Best and Sandy Morris. Anita was just presented with a lifetime achievement award from the Newfoundland and Labrador Folk Arts Society this past Saturday at the folk festival in St. John's! Not to be missed. Saturday, 9:30 am Readings by novelist Kathleen Winter. Sunday, 9:30 am Readings by Joan Clark. Sunday 2pm Matinee concert with Katie Baggs. 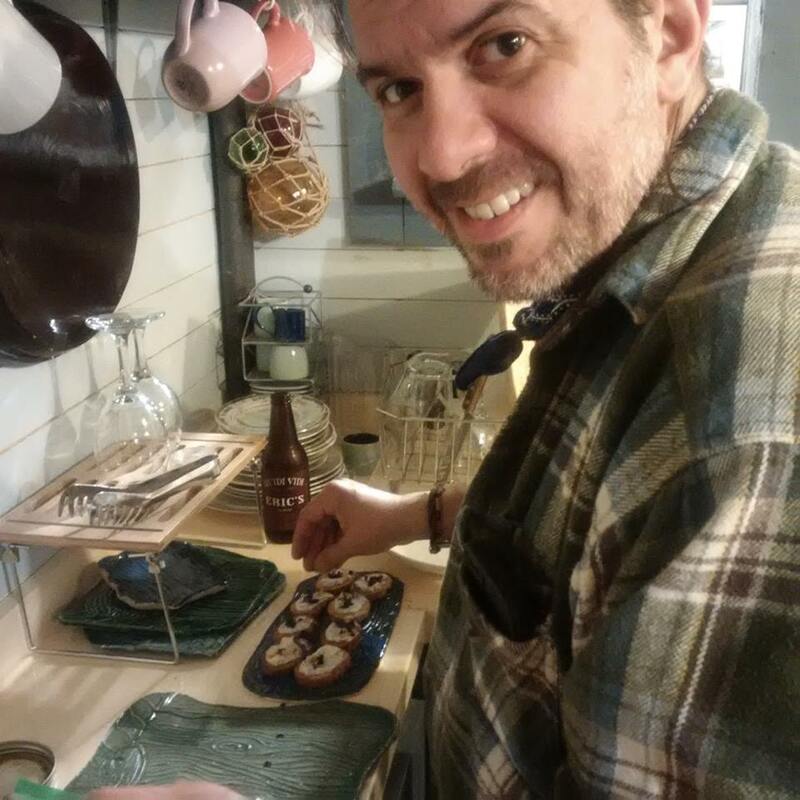 Sunday 4:30 pm Locals Read: if you are a writer with a connection to the Bonne Bay area, you can read during this event! Sign up at Galliott Studios anytime this week. All of these events are free. We look forward to seeing you! Check for updates here and on our Facebook page throughout the week. The full Writers at Woody Point schedule can be found at http://www.writersatwoodypoint.com/schedule/. 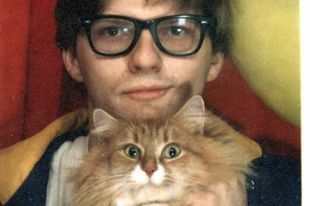 Meet Thom Coombes from St. John's band Thom and the Tomcats. He writes and plays adorable indie rock/pop/folk songs, and lots of them - the band has five albums for sale on their bandcamp site (thomandthetomcats.bandcamp.com/merch). 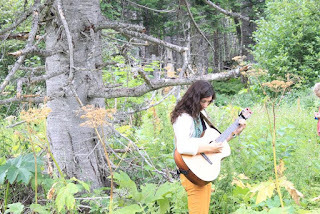 Come to Galliott Studios for a charming solo performance this coming Monday, July 27. Hope to see you there! 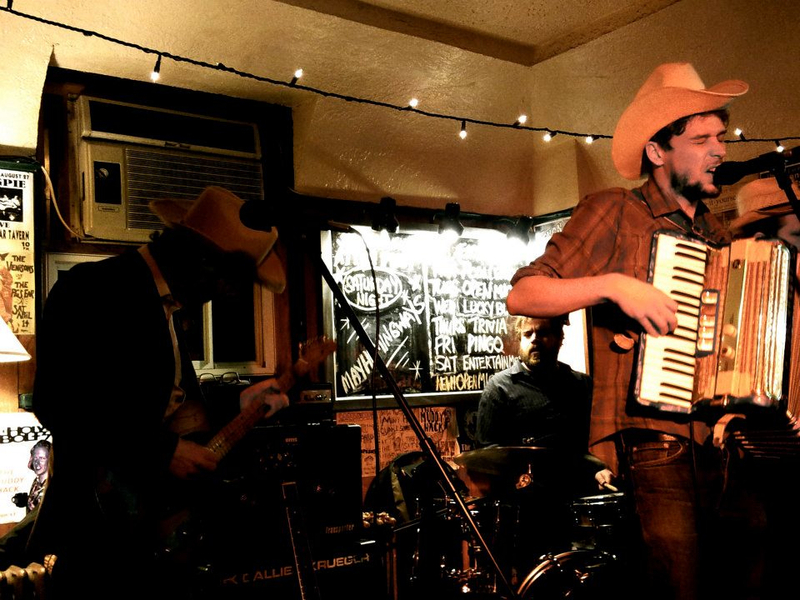 Tomorrow evening at Galliott Studios you can catch the Mayhemingways from Peterborough, Ontario. This duo tours the east coast often and has become a favorite of Newfoundland audiences. They are very busy this time around: in St. John's they played at the Ship Friday night and a daytime house show at the Lady Palace. Tonight (Saturday) they are at the Grates Cove Cafe (Note: If your travels take you to the Avalon this is little restaurant/gallery is well worth the drive from St. John's! 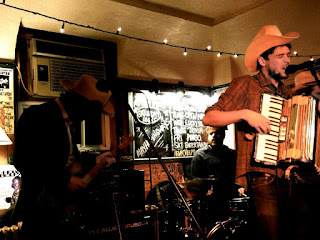 ), Tomorrow they'll head west to play Galliott Studios. 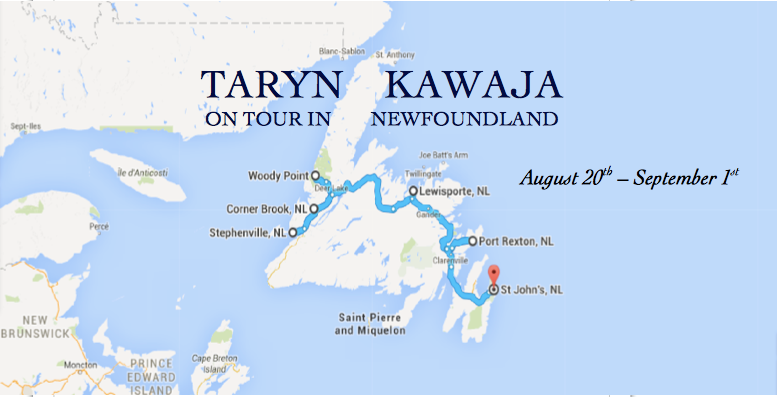 The final Newfoundland stop for this tour is at Flynn's Pub in Corner Brook on Monday night. Check them out! Excellent music and really lovely people. Have a listen to some of their tunes at mayhemingways.wordpress.com. Watch a video at https://www.youtube.com/watch?v=ECy7G0AhJV8. This Friday, July 10 at 7:30pm join us for an artist talk with Jessie Knirsch. You can view some of her beautiful artwork at www.jessieknirsch.com. If you attended last week's book talk and discussion with Miles Howe and Annie Clair, you will be interested to know that Mi'kmaq land defender Annie Clair has an upcoming court appearance. you can find out more here: https://vimeo.com/122691310. Donations to help with legal fees can be sent to supportannie@riseup.net. 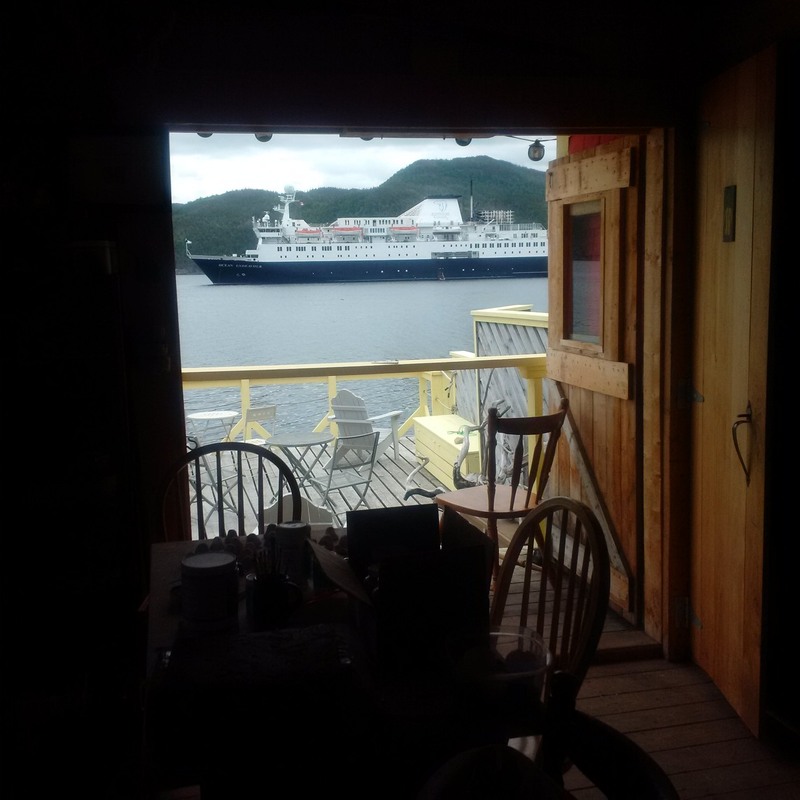 And finally, here are a couple of snaps of the cruise ship Ocean Endeavor out in Bonne Bay, taken from our back door yesterday. Happy July! "We all drink water and share the land"
If you are concerned about the impact that proposed fracking could have on the environment and people on the west coast of Newfoundland, come to Galliott Studios this Sunday, June 28 at 2pm. Independent journalist and author Miles Howe and Annie Clair, a Mi'kmaq land defender from Elsipogtog First Nation, will be hosting a book talk and a discussion about the anti-fracking movement. Both Howe and Clair were participants in the protest against shale gas development in New Brunswick in 2013 that became shockingly violent when an initially peaceful demonstration was confronted by RCMP in full riot gear. It was suggested that this week I write about my music and my latest recording. I never know what to say when people ask about songwriting because didn't start doing it on purpose. Little melodies and bits of poetry have always come into my mind and I learned that I enjoy turning them into songs. Somehow, due to some lucky twist, playing small and simple folk songs has become a big and important part of my life. 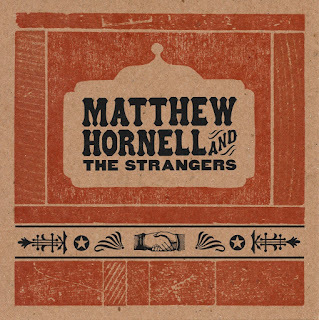 I get to connect with friends and strangers through these songs and I am pretty sure that's the best thing there is. The photo at the top is printed inside the jacket of my cd. It was taken two years ago during Writers in the Wild during Writers at Woody Point. I am under a big fir tree on the Lomond hiking trail. The year before that I played in the same spot with my best pals, All the Wiles. This year I wanted to go back to Woody Point with my little family so made a special request to play in the forest again and they said yes! So, if you're at the festival keep your eyes open for me along the trail! June is flying by and there are already so many things (kayaking! Boat tours! Music!) happening around Bonne Bay (have a look: http://visitgrosmorne.com/). In Cow Head the Gros Morne Theatre Festival is in full swing. I will write in more detail about this festival next week. In the meantime you can check out their schedule here: http://www.theatrenewfoundland.com/. Starting July 3 and continuing until the end of August, Gros Morne Summer music will be hosting a variety of classical performances and trad nights at the historic and beautifully restored St. Pat’s performance space in Woody Point. Starting on July 26 you can take in The Woody Point Pageant, an afternoon show that winds through downtown Woody Point with performances all along the way. The schedule for Gros Morne Summer Music can be found at http://gmsm.ca/2015-season/. You'll also want to have a look at the very exciting lineup for this year's Writers at Woody Point festival (August 11-16). it can be found at http://www.writersatwoodypoint.com/ . I will continue to gush about this festival as it approaches. Happy beginning-of-the-season to friends and fans of Galliott Studios! As of June 3 we have re-opened for the summer. Hours are 11-5, Wednesday to Sunday. 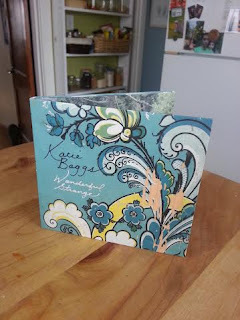 I’m Katie Baggs and I’ve taken over writing this blog for a while. 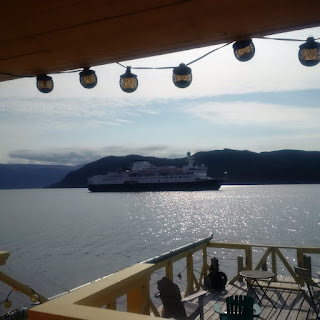 I’ve had the good fortune to spend time in Gros Morne over the past four summers as a musician at Writers at Woody Point, Trails Tales and Tunes and Gros Morne Summer Music. 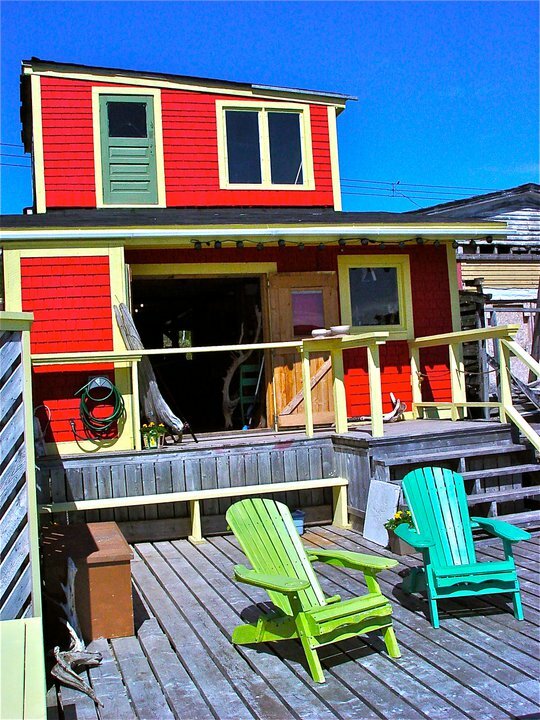 Whenever I arrive in Woody Point I make a beeline for Galliott Studios. There’s always a crowd of interesting people drinking cups of real coffee, eating epic cheese plates and getting on like old friends. And that deck!!! Keep your eyes open for musical guests throughout the summer. On July 19, stomp your feet and sing along with folk duo the Mayhemmingways . You’ll love them! 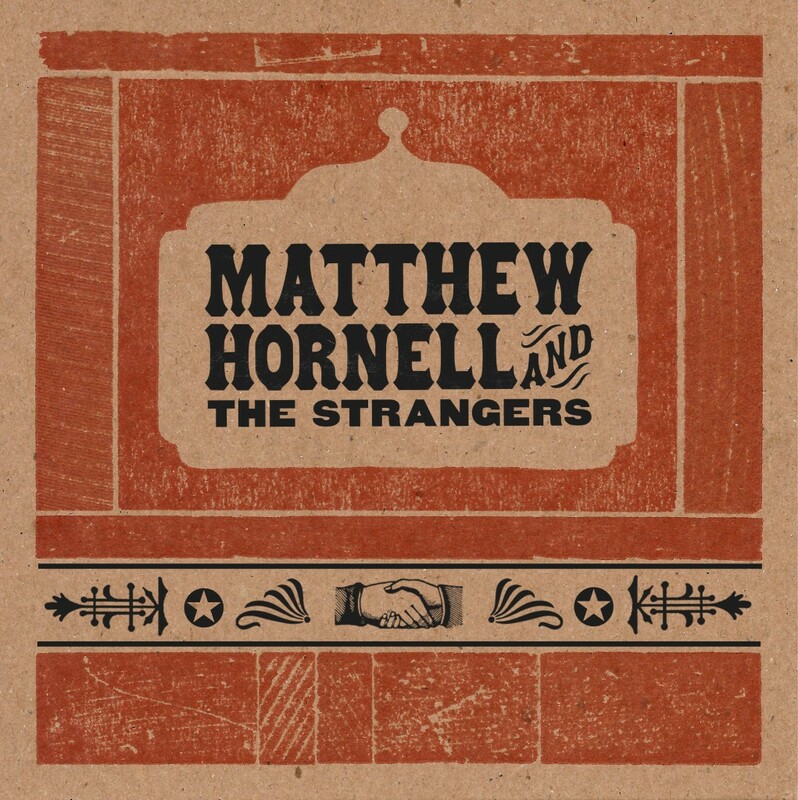 On July 31 you can catch a performance by singer-songwriter-guitar player-extraordinaire Matthew Hornell. Beautiful performances of incredible original songs, and he’s super charming too! Not to be missed. More special guests will be announced so stay tuned. I am looking forward to keeping you all updated throughout the summer.